Donald Trump says Univision and NBC "abandoned" the 51 women vying for the Miss USA crown by canceling the upcoming pageant telecast. Organizers of the annual event, half-owned by Trump and scheduled for July 12, are arranging for a live-stream of the pageant now that the two networks have backed out of airing it. Univision and NBC did so, they said, because of the offensive nature of Trump's comments about Mexican immigrants. The broadcasters were facing sustained protests from Hispanic leadership groups. Trump, however, didn't mention the Hispanic community's outcry during an event for his presidential campaign in New Hampshire on Tuesday evening. Instead he focused on the "51 wonderful girls" who were affected by the cancellation. 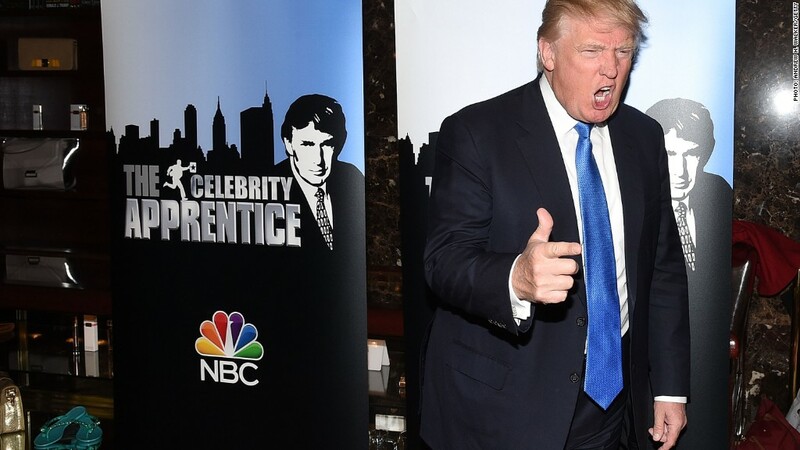 "What NBC and Univision did to these young women was disgraceful," Trump said. Trump said he'd be traveling to Louisiana next week to attend the pageant. 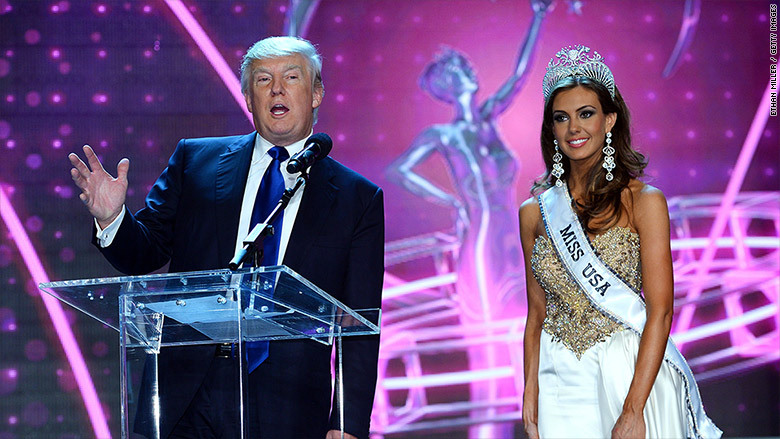 The controversy over Trump's depictions of some immigrants as "rapists" and "drug-dealers" came to a head last week when Univision canceled its plans to air Miss USA and all future events produced by the Miss Universe Organization. Trump owns half of the organization that oversees both the Miss USA and Miss Universe pageants. NBCUniversal owns the other half. NBC followed Univision on Monday and said it would not air Miss USA, either. On Tuesday afternoon Trump said he was filing a $500 million lawsuit against Univision. He did not mention a potential suit against NBC. Earlier on Tuesday, the organizers of Miss USA vowed to move forward with the event, despite NBC's decision to pull it from the schedule. "We are disheartened by recent events but the show will go on," the Miss Universe organization said in a statement Tuesday morning. "We are moving forward, full-steam ahead as planned for the next two weeks, culminating in the crowning of a new Miss USA on July 12." But the event faced another setback in the afternoon when professional dancer Cheryl Burke said she'd no longer serve as co-host of the pageant. A short while later, a spokesman for NBC confirmed that the other co-host, MSNBC anchor Thomas Roberts, had also withdrawn from hosting duties. Cheryl Burke, Thomas Roberts and Miss USA 2014 Nia Sanchez attend the 2015 NBC New York Summer Press Day on June 24, 2015 in New York City. "In light of the recent statements made by Donald Trump and the subsequent decision by NBC to cut ties with Mr. Trump, I cannot in good conscience move forward with participating in this year's Miss USA Pageant as its co-host," Burke wrote on Facebook. "Effective today I have withdrawn from my duties with Miss USA." Roberts tacitly confirmed his exit in a tweet on Tuesday: "Best of luck to all #MissUSA2015 contestants this year & THX to the good people behind the scenes @MissUniverse - been a joy working w/you!" NBC had no further comment on the pageant. Meanwhile, Miss Kansas USA Alexis Railsback, said that the pageant was "kind of taking the brunt for Donald Trump's speech." Railsback, a third-generation Mexican-American, told the Kansas City Star that Trump "does not organize the pageant, he does not run what goes on." "That's a personal decision that he made to make that speech and to run for president, and I don't think it is really related to the pageant in any way, other than the fact that he is the co-owner," Railsback said.